I’m going to be honest. The past 18 months of my life’s story have been hard. Hard down to the deepest parts of my soul. My heart has grieved as my dream of life and family have been shifted and refined. There have been days that waking up and moving through the simple rhythms of the day has taken all my energy and focus. In the summer of 2012, my life turned upside down. My marriage of over ten years suddenly and dramatically fell apart and I found myself waking up to the reality that I was drowning in the busyness of life. It had been my desire to live with purpose and intention for many years but I had allowed small and seemingly harmless things to take up residence in my life. The constant checking of Facebook, the obsessive following of blogs and the pursuit of a “perfect” body had robbed me of living present and purposeful for each day. Fear had taken up residence and was driving my choices and my beliefs about myself as a woman, wife, and mother. I have known from a young age that I was created for relationship with God and that I am loved by Jesus. But there is a difference between knowing and living. And there is no fear when I choose to live by faith. As the physical aspects of my life seemed to crumble around me, a beautiful awakening was growing inside of me. I remember walking one day and crying over the sheer disbelief of what was happening to me and to my family. In that moment I realized I had two choices. Either I could wallow in self-pity, bitterness and anger, or I could choose to embrace this season and what it was teaching about myself and who God created me to be as a woman, mother and friend. During this time of my life I am learning what it means to live free from fear and fully present in the gifts of today. I am learning that even when life doesn’t look like what I want it to, there are gifts in that place that must be recognized. By identifying the gifts, my heart overflows with hope and joy. I am learning to put my phone down and to step away from the computer. I am learning to stop being busy and start playing with my kids. I am learning to let go of how far or fast I can run and enjoy the act of moving and being. And I am learning to laugh and to find joy even in the midst of a painful season. Practically, I looked to the future and wondered how I was going to support myself and my two young boys. My thought and desire had been to stay home with my boys until they were in school full time. But with the ending of my marriage that was no longer financially possible. Late one night I was roaming the web looking for ideas. As I researched different options, I stumbled across the Parent Coaching Institute. As I read the description of the program, I knew it fit my giftings, knowledge and my desire to partner with others to experience an engaged and wholehearted life. Parent Coaches team up with parents in a unique relationship that equips parents to engage in life from their strengths and giftings as a parent and person to move them towards their dream for their family. I graduated this month as a Certified PCI Parent Coach® and have started my own coaching practice called Foundations Parent and Life Coaching. My heart is to work with parents and individuals who want to build a solid foundation for a thriving life. Parenting and just living in general require being purposeful; otherwise busyness and distractions will crowd out the things that are truly important. Sometimes we come to a season of life where we need to be purposeful in establishing healthy, sustainable practices for ourselves and our families. That is when working with a coach can be beneficial. The coaching relationship is all about partnership. We work together to establish the rhythms that will help you and your family be your best selves. People come to coaching for a variety of reasons. For some it is when they have a newborn and are learning about who they are as a parent and what they want for their family. For others, it is when their child is school aged and they are struggling to find balance between screen time and physical activity. Some parents finding coaching helps them navigate a diagnosis. No matter the reason, what I know to be true is that when we are working towards being our best self, we give a gift to our children that will impact their future in the best way possible. 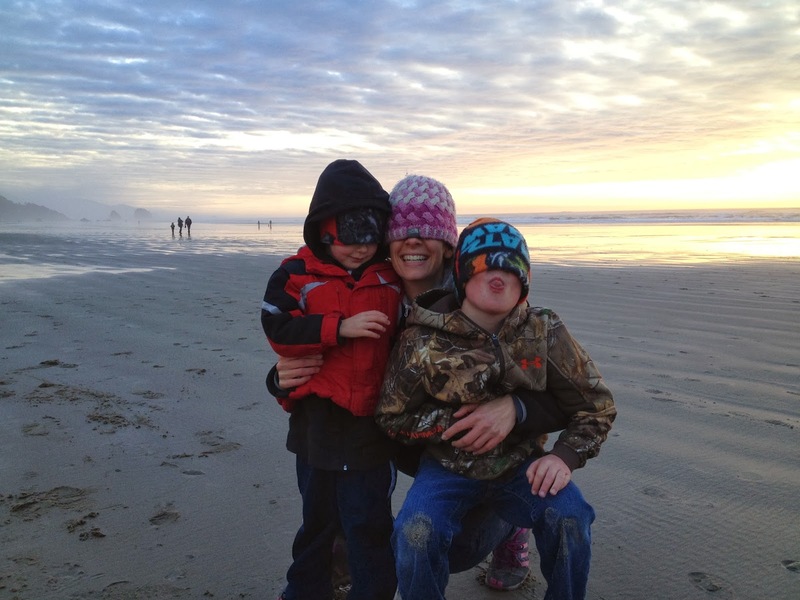 Hannah is a teacher with a background in early childhood development and is now certified as a parent and life coach. You can find more about the exceptional Parent and Life Coaching services she offers on her website Foundations Parent and Life Coaching or read her thoughts about thriving daily rhythms at her blog The Daily Rhythms of Life. Well written post! I’m glad you found an outlet for income that was also satisfying to you- God is good! Thank you for linking up on “A Group Look” at A look at The Book! What a great post! As co-host of the “A Group Look” Link up from A Look At the Book and Women of Worship – we thank you for coming by! I hope you will stop by and join us again next week on Friday. I most certainly will! Thank you for visiting M2M!